Down on the Dickswall, the highrises seem so much larger. 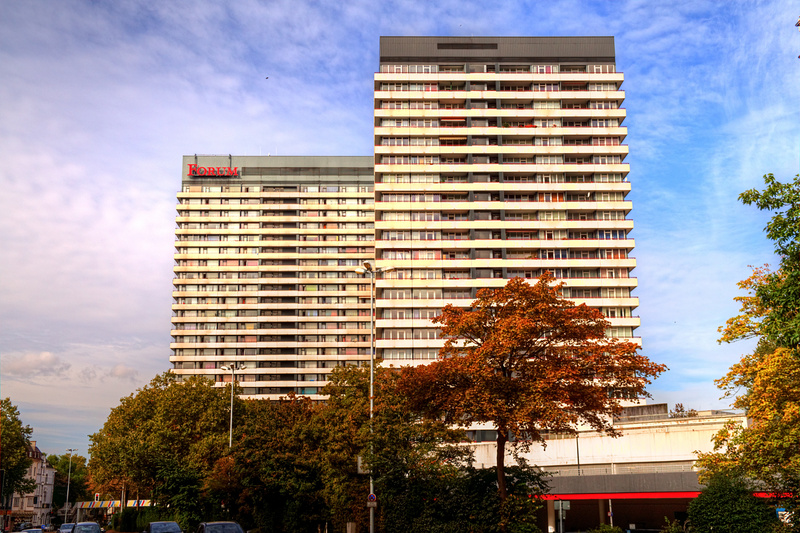 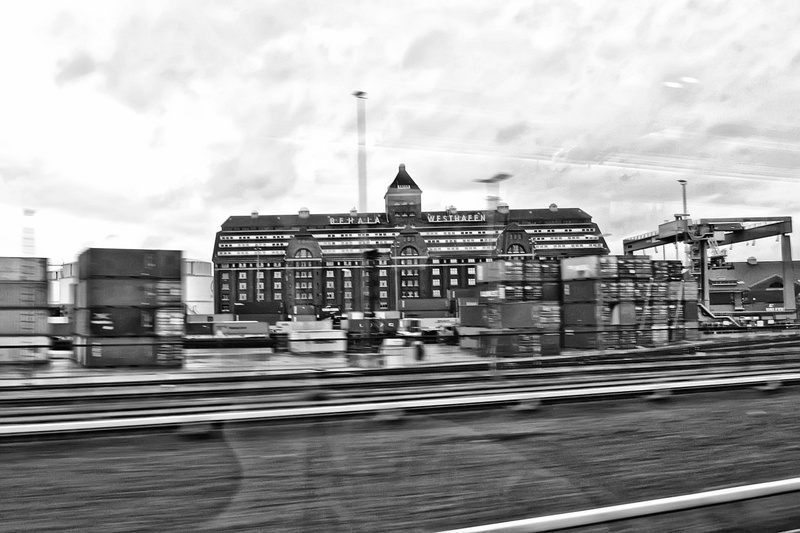 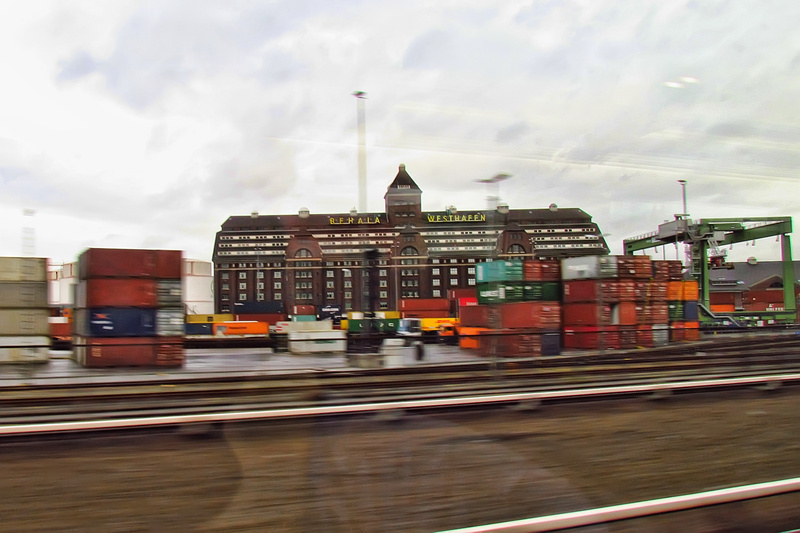 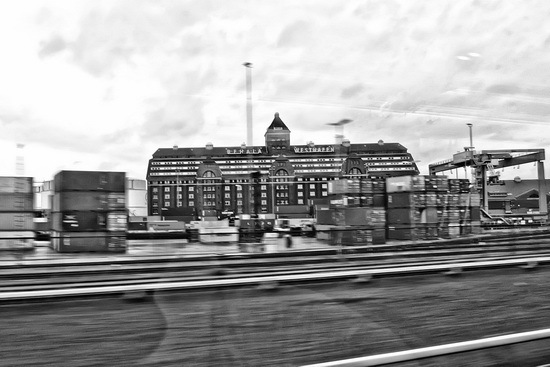 On the way out of Berlin, I saw the impressive Behala building in the Westhafen again. 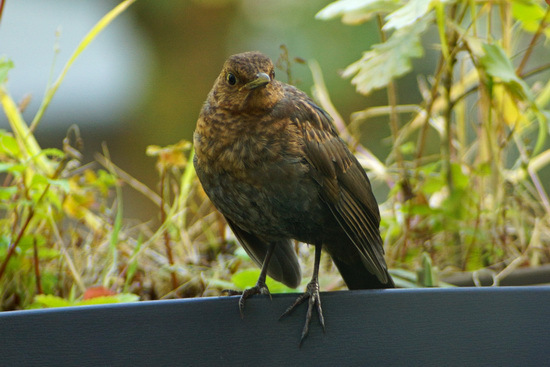 My balcony seems to be a favourite of the Blackbirds recently.